With the release of his newest single "Sorry," Beliebers have taken to the Twitterverse to embrace Justin Bieber once again, ultimately proving that this song might not actually be about Bieber's ex, Selena Gomez, but about something else entirely: them. In other words, perhaps this musical rendition of a mea culpa is all Bieber's fans really needed from him in the first place, as its final arrival has proven to be especially resonant. With lyrics like, "I know you know that I made those mistakes maybe once or twice/ And by once or twice I mean maybe a couple a hundred times/ And let me, oh, let me redeem myself tonight/ 'Cause I just need one more shot at second chances," you can't help but understand why Bieber supporters seem so particularly moved by this latest release. It feels like he's speaking directly at them, in a way that Bieber has never really done before. Musically at least. 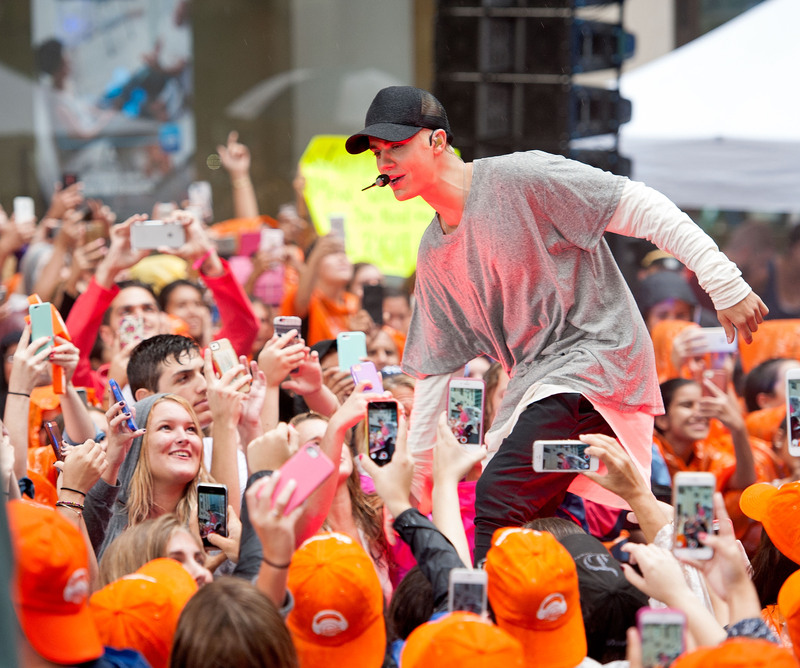 Because that's not to say Biebz hasn't apologized to his fans — and frankly to the world — before. The once tween idol has encountered quite a bit of controversy over the past couple of years, and he's certainly not been quiet about his road to redemption. The Biebz has appeared on The Ellen Show to publicly declare that he's sorry for past behavior, and wants to become a better person. He even agreed to be be roasted on Comedy Central, where he gave a heartfelt speech at the end, and once again, candidly apologized. But, as anyone whose ever been under the spotlight — especially in this digital media era — knows, that road to redemption is a long, lonely journey. It would make sense then, wouldn't it, for the third release of Bieber's new album Purpose to include another sort of public apology, but this time, one directed solely for his fans? A cathartic release of all the things he's done wrong could serve as a wink in the directions of his most loyal supporters. At the very least, it could be a subtle (and admittedly catchy) shout out just for them, or a small but important declaration that their favorite singer's emotional growth will directly influence his music, and for the better. Either way, Beliebers (can we still call them that?) are embracing the song with open arms. If you ask me, it looks like your fans have more than accepted your apology, Biebz. As of right now, there's no need to be sorry.